What really matters of course is not a fancy bottle – but what’s IN the bottle. 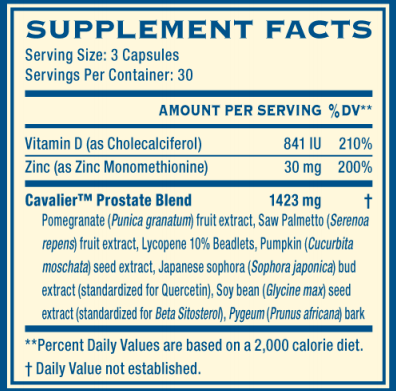 And in the secret laboratory test conducted on this prostate supplement is shows it contains 71.6mg of total sterols per serving. This is a below average score and certainly below the amount of sterols suggested in all the clinical data. This product definitely wins the award for most innovative packaging, but the formula needs to be improved. And it $40 a bottle it’s not a good value.